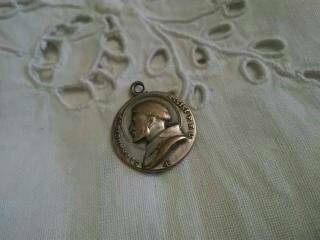 Antique Saint Antony and Francis of Assisi Medal. 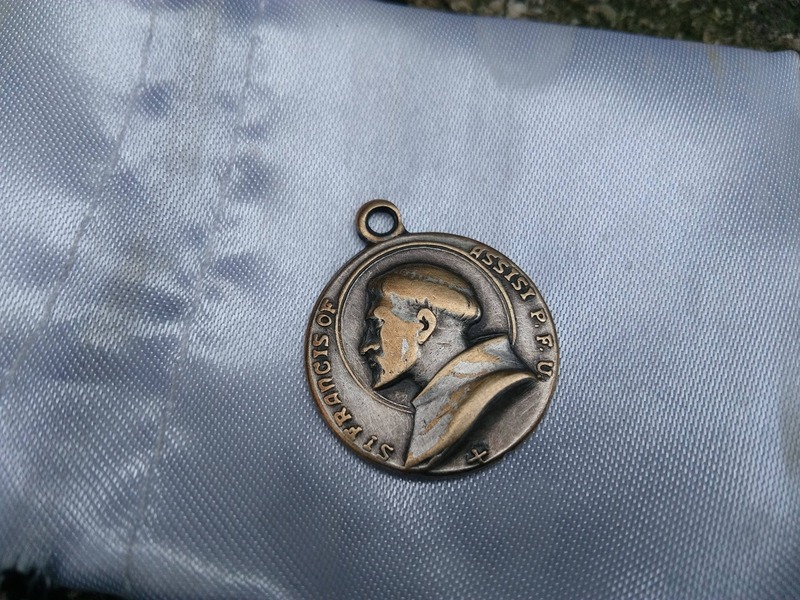 Silver plate on brass . Free shipping. 1 week delivery from France to the US. Patron saint of Pet. Patron Saint of Ecology! 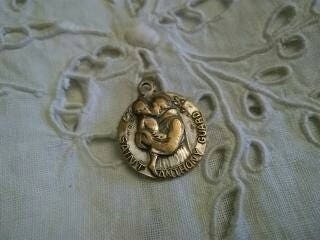 "Dear Saint Anthony, your prayers obtained miracles during your lifetime. You still seem to move at ease in the realm of minor and major miracles. 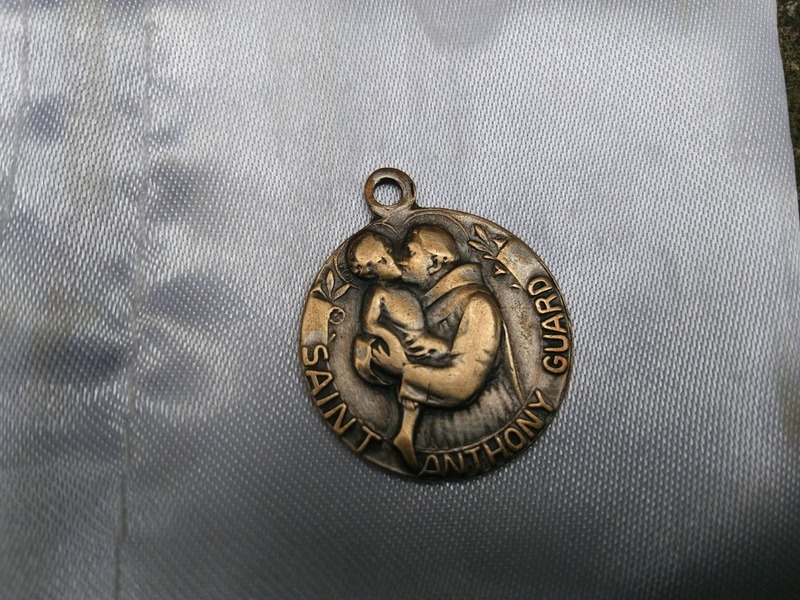 Saint Anthony, Performer of Miracles, please obtain for me the blessings God holds in reserve for those who serve Him. Pray that I may be worthy of the promises my Lord Jesus attaches to confident prayer. 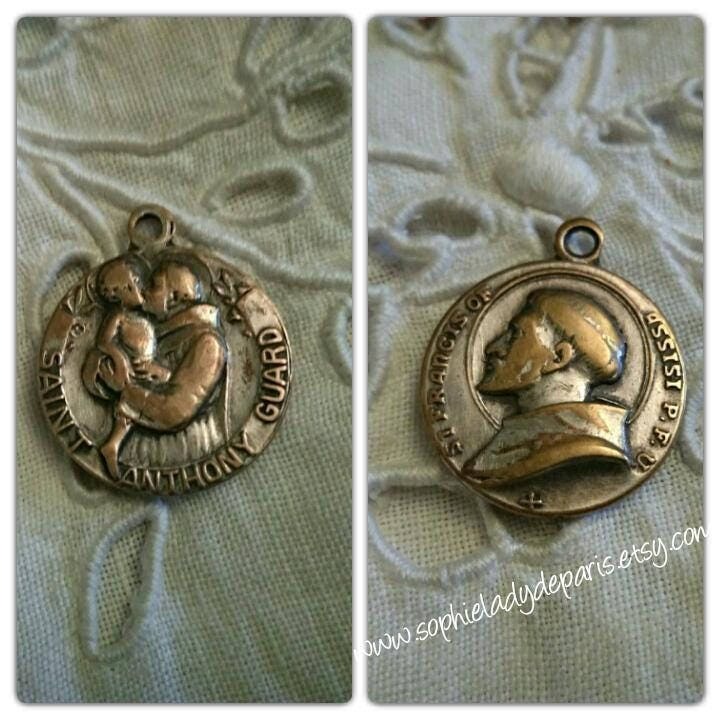 [mention your special intentions] Franciscan Mission Associates"
(...) ST. ANTHONY OF PADUA—1195-1231 A.D.
St. Anthony of Padua is one of the most famous disciples of St. Francis of Assisi. He was a famous preacher and worker of miracles in his own day, and throughout the eight centuries since his death he has so generously come to the assistance of the faithful who invoke him, that he is known throughout the world. St. Anthony was born in the year 1195 A. D. at Lisbon (Portugal) where his father was a captain in the royal army. Already at the age of fifteen years, he had entered the Congregation of Canons Regular of St. Augustine and devoted himself with great earnestness both to study and to the practice of piety in the Monastery at Coimbra (Portugal). About that time some of the first members of the Order of Friars Minor, which St. Francis has founded in 1206 A. D. came to Coimbra. They begged from the Canons Regular a small and very poor place, from which by their evangelical poverty and simplicity they edified everyone in the region. Then in 1219 A. D. some of these friars, moved by divine inspiration, went as missionaries to preach the Gospel of Christ to the inhabitants of Morocco. There they were brutally martyred for the Faith. Some Christian merchants succeeded in recovering their remains; and so brought their relics in triumph back to Coimbra. The relics of St. Bernard and companions, the first martyrs of the Franciscan Order, seized St. Anthony with an intense desire to suffer martyrdom in a like manner. 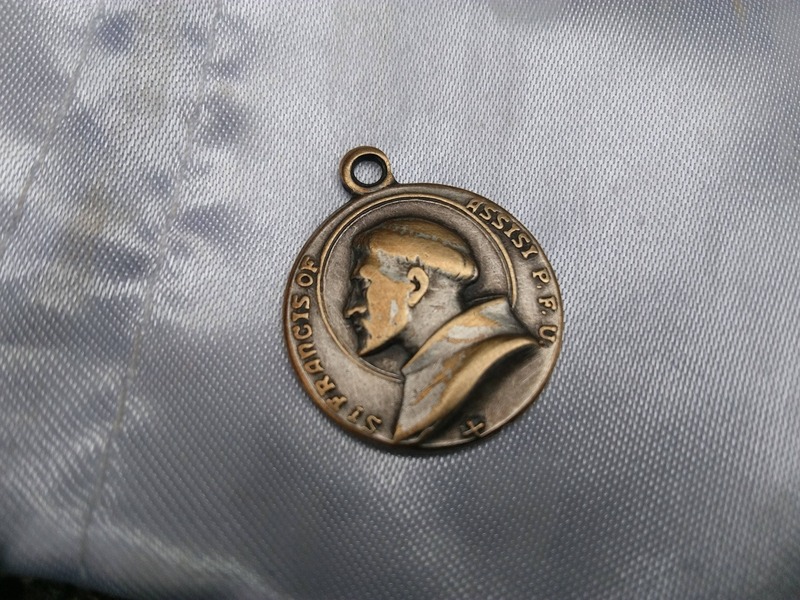 So moved by their heroic example he repeatedly begged and petitioned his superiors to be given leave to join the Franciscan Order. In the quiet little Franciscan convent at Coimbra he received a friendly reception, and in the same year his earnest wish to be sent to the missions in Africa was fulfilled. But God had decreed otherwise. And so, St. Anthony scarcely set foot on African soil when he was seized with a grievous illness. Even after recovering from it, he was so weak that, resigning himself to the will of God, he boarded a boat back to Portugal. Unexpectedly a storm came upon them and drove the ship to the east where it found refuge on coast of Sicily. St. Anthony was greeted and given shelter by the Franciscans of that island, and thus came to be sent to Assisi, where the general chapter of the Order was held in May, 1221 A. D.. Since he still looked weak and sickly, and gave no evidence of his scholarship, no one paid any attention to the stranger until Father Gratian, the Provincial of friars living in the region of Romagna (Italy), had compassion on him and sent him to the quiet little convent near Forli (also in Italy). 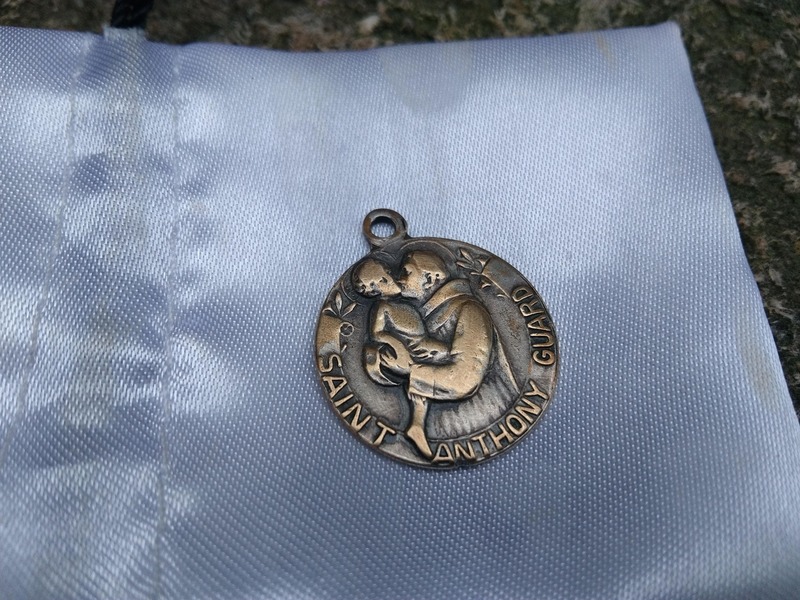 There St. Anthony remained nine months as chaplain to the hermits, occupied in the lowliest duties of the kitchen and convent, and to his heart's content he practiced interior as well as exterior mortification.